Southern Lord brings forth a split album release from two of the heaviest sludge bands in existence. 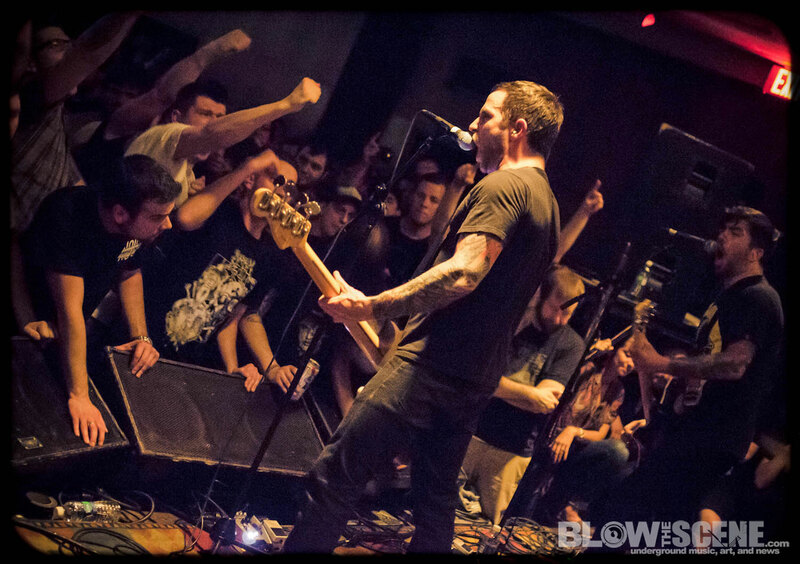 Coffins from Tokyo, Japan churn out some of the filthiest, nastiest noise this year, while Oakland, California’s sludge pioneers Noothgrush crawl from the grave to teach us a lesson in joylessness. Featuring artwork by Josh Graham, this utterly oppressive slab of crushing doom shall be officially released on 12″ via Southern Lord in North America on November 26th. Noothgrush return with their first new material since they reformed in 2011, and the disdain, the disgust… It hasn’t faded one bit. Their gruesome sludge is rooted in the real life, in the misery, hatred and despair of humanity – there are no traces of fantasy or psychedelic moments of horror movie nostalgia in this amoral cut of agonizing doom. 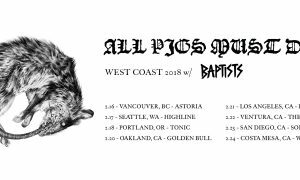 With Dino Somesse, the man who personified anguish in ’90s crust sludge golden calves, Dystopia, joining the band on vocals, this is a rare ignition of the scum-ridden sludge sound which America hemorrhaged during the last decade of the millennium. 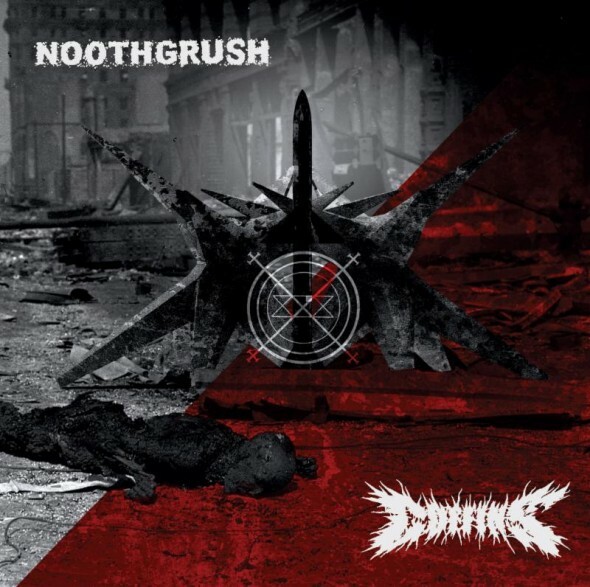 Noothgrush‘s side of the split opens with crawling, pained riffs punctuated with sparse percussion, and then the weight of the world comes down; rasping vocals, disturbing samples, and songs which grab you by the throat and open your eyes to a manmade hell. 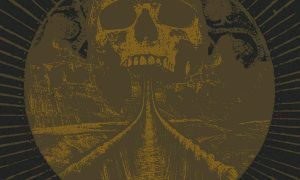 Coffins, the Japanese masters of rocking death-doom, have (once again) succeeded in making exactly the kind of music you would feel comfortable having as your soundtrack whilst riding a Harley Davidson into hell like you own the place. 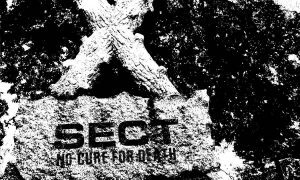 Their hammer comes down heavier than ever on these two tracks, wielding monstrous groove with downright foul tactics. Guttural is an understatement – what comes out of the mouth of vocalist Uchino is a tar-thick gargle with the stench of death, laying to waste whatever living creatures inhale it. 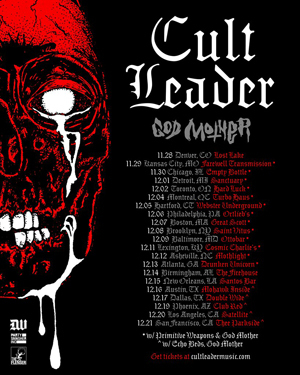 Plants will wither, animals scurry, and metal fans… will bang their heads! Channeling the old-school death metal filth of Autopsy with an altogether more rollicking lurch, this is horrific doom metal to rage to.